To me as a die-hard believer in trend following, I never see market bubbles and crashes. To me they are simply uptrends and downtrends which, if you and your method can embrace the volatility, generate the types of moves where we can generate massive profits. 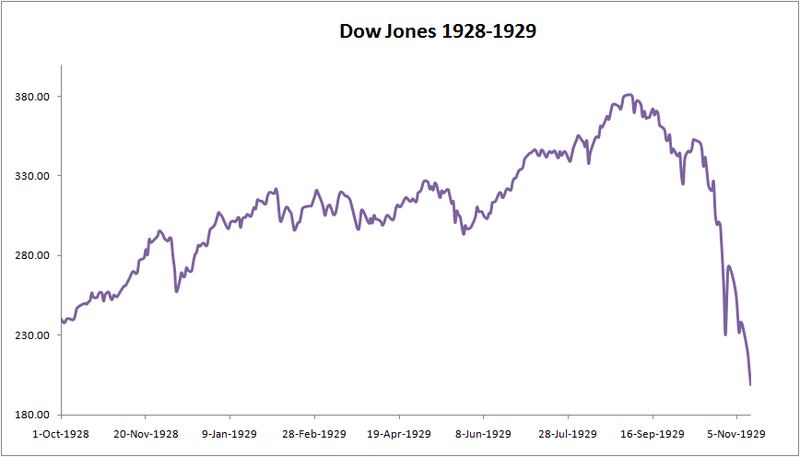 We can look over the last 20 years and recall the basic major trends in the markets - the dot.com 'bubble' (uptrend) of the late 90's and early 2000, followed by the subsequent bursting of the bubble (downtrend), the market 'crisis' and resultant downtrend in 2008, and the more recent market uptrend which started in early 2009. In 2000 and 2008, when trend followers were capitalising from the trends in the major market averages or in individual stocks exhibiting similar price moves, others were continually trying to call a market bottom during those downtrends. Similarly, in more recent years there have been plenty of people who have continued to call market tops all the way up, while those traders content to follow the trend (particularly those who trade longer-term) have been handsomely rewarded. "A good trend-following system will keep you in the market until there is evidence that the trend has changed. If you had been doing your historical research on soybeans in 1972, you would have concluded that anytime soybeans advance by 50 cents, you might as well get out, because the market had never moved up or down by significantly more than that. Obviously, that was the wrong conclusion because it went up another $8. A good trend-following system, however would have kept you in for most of the move." "The correct approach is to say: This structure means up, and this structure means no more, but never this structure means up this much and no more." I've always said that no-one can predict the magnitude of a price move, or when a change in trend will occur - they are both a "known unknown". However, as Dennis says, a market will generally give you a clear signal that something has changed. Flicking through the original Market Wizards, quite a few of those traders interviewed (who all used differing methods and traded different markets) were able to see clear evidence in their own method that there was a clear change in market trends in 1982. And those traders or market 'gurus' who refused to accept that evidence (such as Joe Granville or Robert Pretchter) became prisoners of their own erroneous predictions, and ended up on the wrong side of the market. 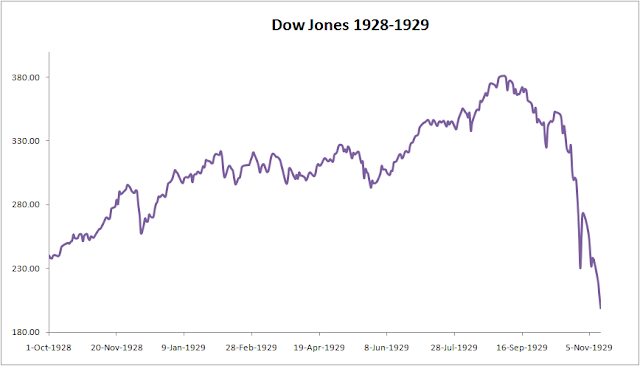 As another example of what Dennis was saying, here is a clean version of the Dow Jones Industrial Average from 1928-29. Even in this chart (along with 1987, 2000 etc.) you can clearly see the evidence of a change in trend (higher highs and higher lows changing to lower highs and lower lows) before prices started to accelerate to the downside. With the price action in stocks like Facebook and Twitter over the last week, some commentators have started hypothesising over whether the price drops in those stocks is potentially marking the end of the current market uptrend. Well, they may be right, or they may be wrong - I don't have a clue. As always, price action will let us know. And anyway, trend followers never enter or exit any market at the extreme of any price movement. We just observe what is happening, and react accordingly, along with controlling risk. 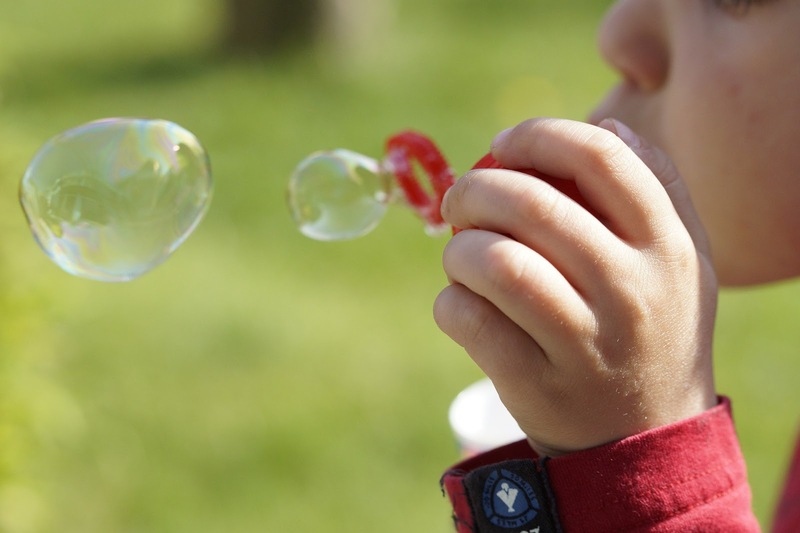 One last word on market bubbles (uptrends). Just like the young child blowing bubbles in the picture above, no-one knows how big the bubbles will get, and no-one knows how high the bubbles will fly before they burst.